Happy New Year! 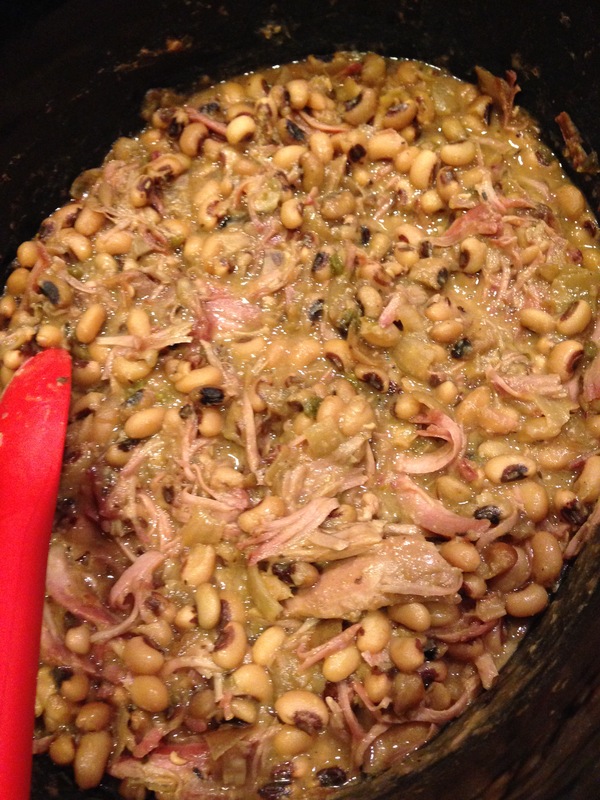 This year’s black-eyed pea recipe is my favorite so far…and the easiest, as it spent all day in the slow cooker. 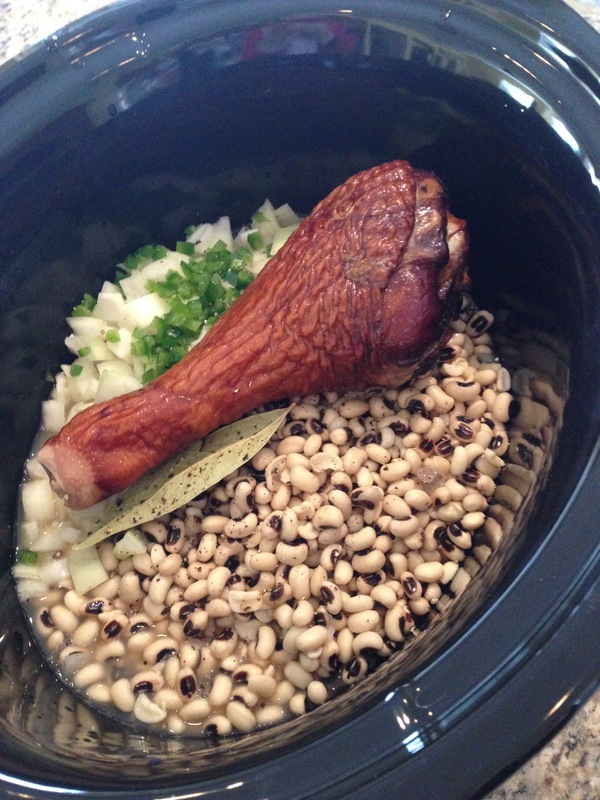 The smoked turkey leg added a ton of flavor and made this dish more of a meal. Here’s to a fantastic 2015. Cheers! Place everything except hot sauce in the slow cooker and stir well to combine. Set the slow cooker on low for 7-8 hours. Stir to break apart turkey meat, then remove the bone and bay leaf. Serve with hot sauce and enjoy lots of good luck in the New Year!